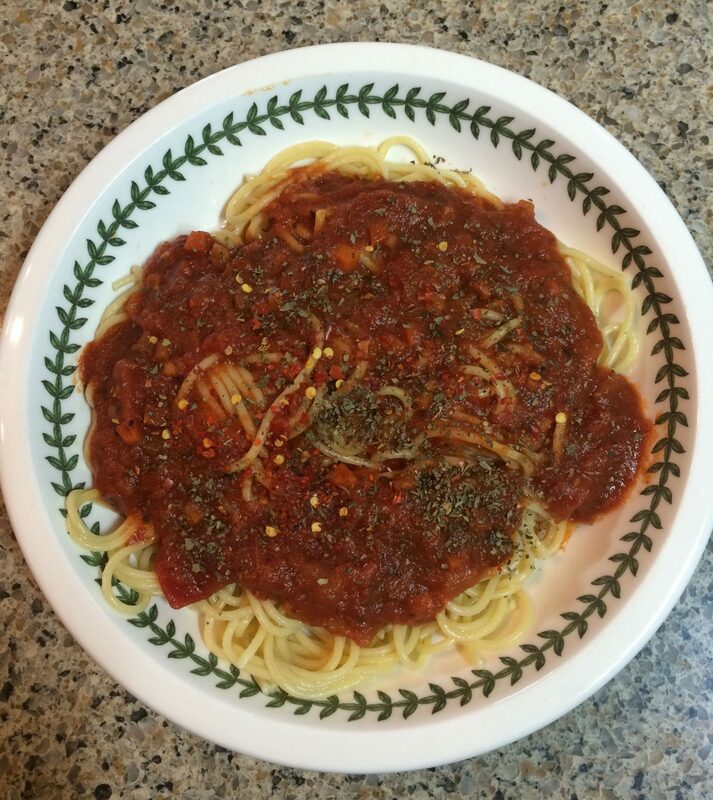 There are three secrets to making great tasting Italian Spaghetti Sauce that I want to share with you. First Italian Spaghetti Sauce is not really Italian. Second, great tasting Italian Spaghetti sauces gets better over days not hours. Third, the timing of when to cook the sauce with certain spices matters. When you learn these secrets, Italian’s who try it will think you stole this sauce. Italian Spaghetti Sauce, not Italian? I am sure that this article probably boils the blood of people who have great pride for being Italian. However, great tasting Italian Spaghetti Sauce makes use of a very old French practice. In French cooking there are Four Mother Sauces. Tomato Sauce is one of those sauces. When making Tomato Sauce in french cooking it makes use of a mirepiox. 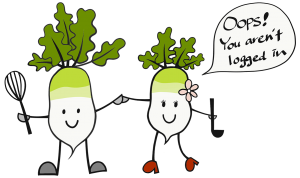 A mirepoix is a specific combination of carrot, celery, and onion in the ratio of 1:1:2. For one quart of Tomato Sauce the measurement is 1oz carrot, 1oz celery, and 2oz onion. 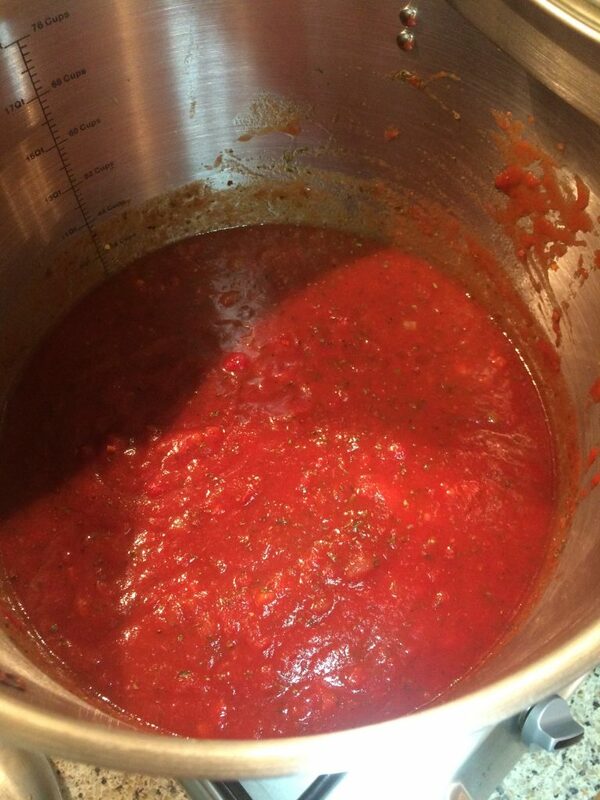 The recipe I share here makes use of this specific ratio, and is the one thing most people don’t know about when trying to make their own Spaghetti Sauce. Mirepiox is what gives the sauce depth and breadth of flavor that can’t be made up for with just spices. When I make Italian Spaghetti Sauce I cheat a little. I use canned tomato products. Actually using many different canned tomato products. Then I use tomato sauce, but don’t confuse this with French tomato sauce. Canned tomato sauce that you buy in the store does not contain carrot, celery, or onion. I used diced tomatoes, crushed tomatoes, and tomato paste. I find that with this mixture I make my desired weight in the sauce, while also getting a hint of boldness from tomato paste. There’s two more secrets that go with this recipe that we want to share with you. We reserve our best tips, tricks, and secrets for registered members or people who will share our content. Please either login or create a free account by registering or simply use a social media account to shrare. Why not just buy store bought jars of Italian Spaghetti Sauce? There are a few reasons you should avoid buying Italian Spaghetti Sauce from the store. The reasons are simple taste, ingredients, and health. First, the taste you will get from eating this recipe is restaurant quality that you can’t quite simply recreate from sauce in a jar. 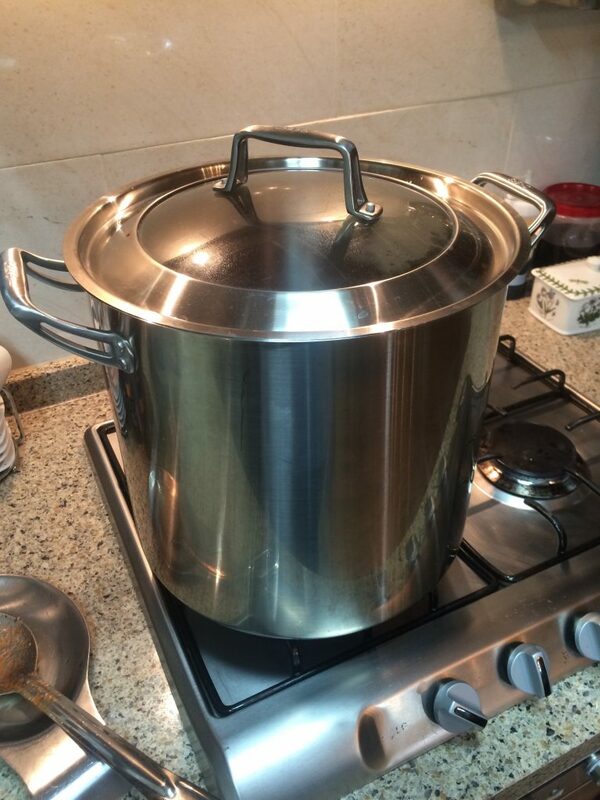 The reason is simple, it’s the process of making jarred spaghetti sauce. In order to make jarred spaghetti sauce the factory must use methods to prevent bacteria growth through pasteurization process where the sauce must be heated to a point above the boiling temperature of 212 degrees. This high heat ruins the flavor of delicate herbs and spices. Second, the ingredients in typical jarred spaghetti sauce include sugar and sodium that are at very high levels. The factory needs to compensate for the high amount of bitterness that the pasteurization process creates from high heat with sugar and sodium. Not to mention, the delicate taste of basil and garlic are practically nonexistent. Third, the nutritious value of the jarred sauce is diminished from the pasteurization process. The fact is that too much sugar and sodium exists in these sauces. If you make this sauce yourself, it is nutrient rich from the variety of vegetables in the sauce. 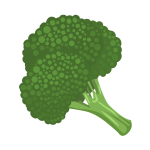 Finally, the taste, ingredients, and your health matter so its time we take back our kitchens and get smart again about making food. This recipe will save you money, taste better, more healthy, and won’t waste much of your time. If you make large batches of this like I do, then you won’t be troubled with making sauce more than once every few months. 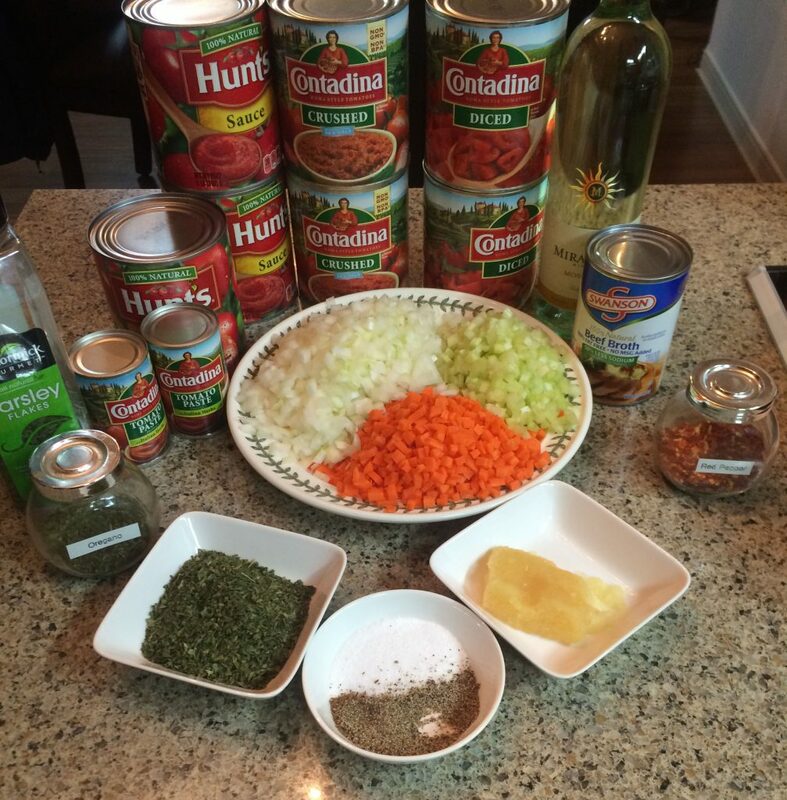 Gather the ingredients for making Italian Spaghetti Sauce. Then read about the secrets here. Dice the carrots to (1/4in / 5mm). 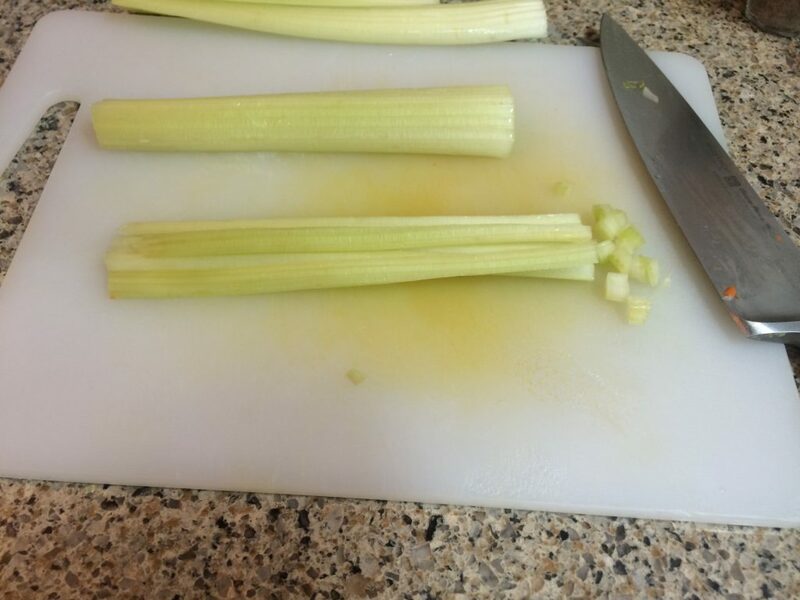 Dice the celery to (1/4in / 5mm). Dice the onion to (1/4in / 5mm). 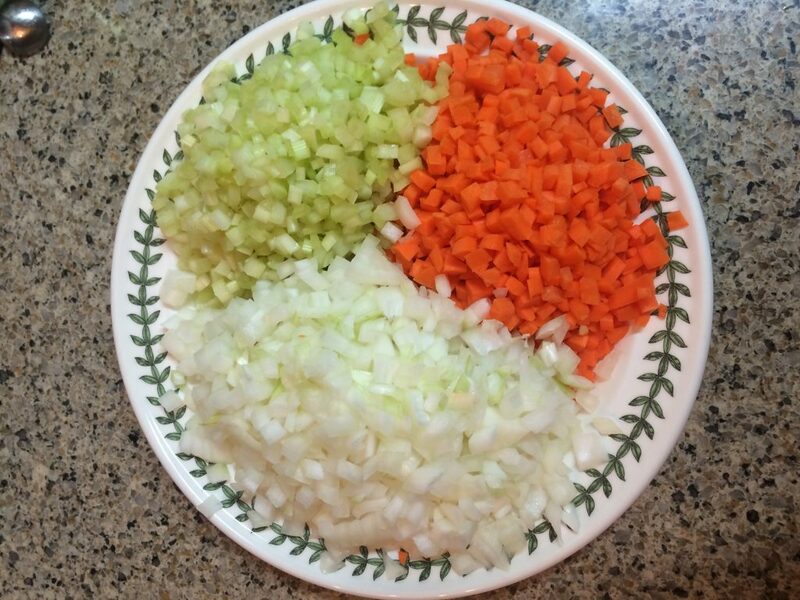 The ratio for the mirepoix is 8oz celery, 8oz carrot, 16oz onion, to 8 quarts of sauce. Begin by frying the mirepoix with olive oil in the stock pot starting with the carrot. 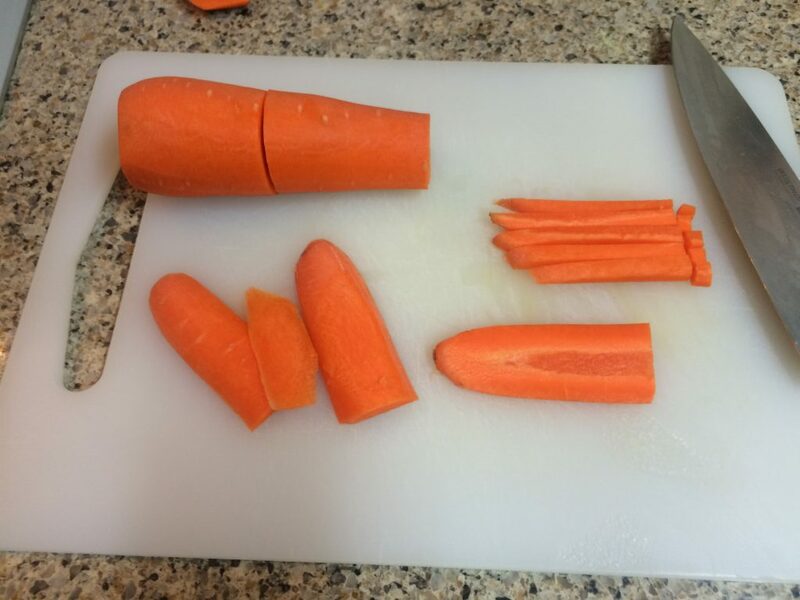 Fry the carrot for 3 minutes. Then fry the celery with the carrot for 3 minutes. 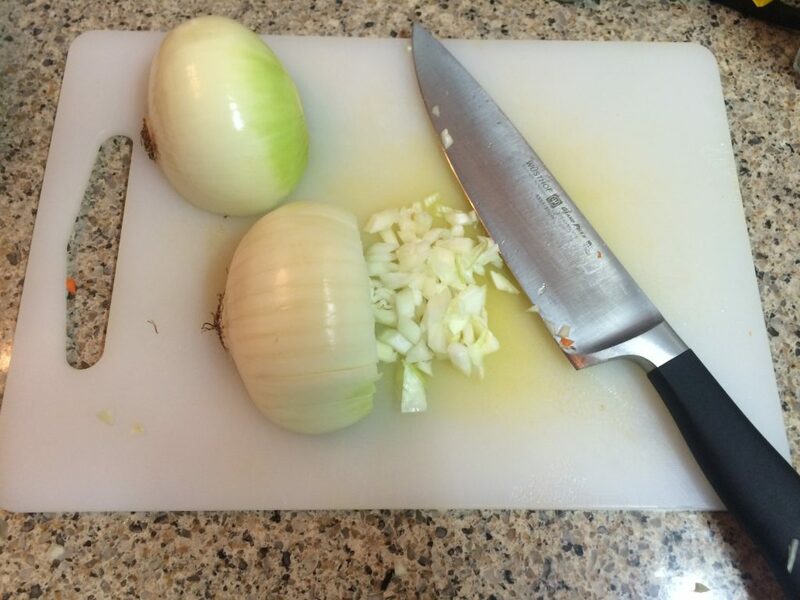 Next, fry the onion with the celery and carrot for about 5 minutes. When the onion starts to become translucent proceed to the next step. Add tomato sauce, diced tomato, and crushed tomatoes. Add salt, pepper, and red pepper. On the side mix wine, broth, and tomato paste in a bowl with a whisk. After thorough mixing of the ingredients then add to sauce. Stir often and add bay leaves. Once the sauce starts to simmer, start timing the sauce. Simmer the sauce for 30 minutes from this point. After simmering 10 minutes add oregano and parsley. After simmering for 25 minutes add basil and garlic. After 30 minutes are complete turn off the sauce. Use immediately or cool for a few hours before transferring to freezer containers.